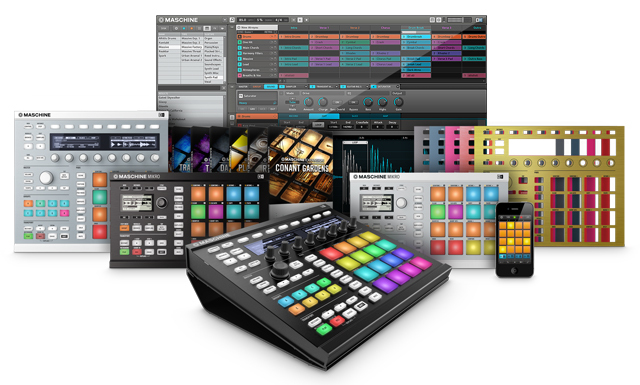 Native Instruments Maschine Update – New Features + New Controllers! the-hood tweaks and fixes that should make Maschine even more useful and easy to integrate into your production workflow. and for all of you Zoolander fans out there, “Steel Blue”. palette to match your Carmen Miranda headdress and pink leotard! -contrast screens with a wider viewing angle. All of these upgrades make the Maschine experience more tactile and intuitive. Another big tweak is the USB port, which has been upgraded to a locking USB 3-compatible port. The locking port should provide a tight attachment, preventing any power loss or disconnection from the software during a performance! stretching of samples. Time-stretching is a way to mold a sample, shortening or lengthening it as well as allowing you to retain the original pitch while changing the tempo. Maschine 1.8 now includes “offline” time-stretching, which you may be familiar with if you have ever used dedicated sample editors such as Cool Edit Pro or Peak. The “Free Mode” offline time-stretching method allows the user to set a stretch amount via a percentage. present as well, so previous sounds and projects will still retain the same characteristics. play their projects. 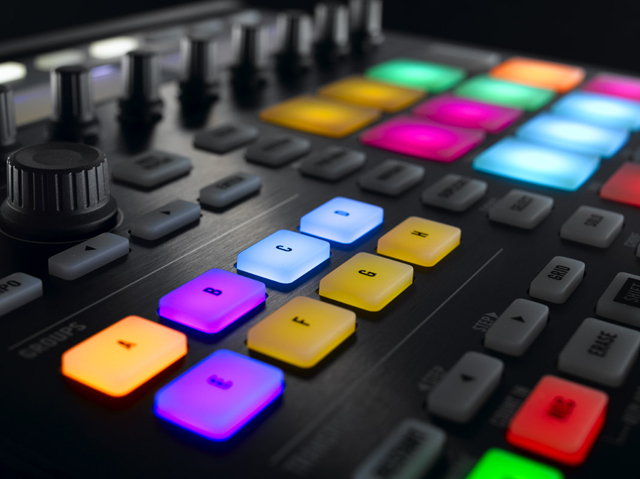 Now, however, the six transport control buttons on the Maschine hardware can control host transport functions including Play, Stop, Record, Loop and Rewind/Fast Forward. This feature will work in all supported plug-in types and host applications. sampling of sounds and plug-in engines from the Komplete 8 collection. productions and performances. Expect a lot more in the coming weeks on Maschine 1.8. Dubspot contributor Computo is a half-human/half-machine electronic music producer and DJ, focusing on bass music of all varieties. He currently works for Native Instruments in Los Angeles as West Coast product specialist and trainer for Maschine and Komplete, and recently contributed programming to the Maschine expansion pack Raw Voltage. His YouTube tutorial on creating wobble bass with Massive has been viewed over 800,000 times.